Hailing from the small town of Barnstaple, in North Devon, this young girl has a voice that is frankly stunning even if she was a mature and established singer. On top of that she also plays guitar, and keyboard; writes all her own songs, and is already a seasoned performer across the region. She has a look about her that suggests she has already seen too much of the world, not cynical exactly, and certainly not unattractive, just resigned to the fact that life isn’t fair, though determined to make it through just the same. Speaking as a singer myself, I am not usually very impressed by anybody else’s vocal abilities. Please don’t mistake this for arrogance; just that for me, being born able to sing is no big deal. It is no better than being born with good looks or being naturally very tall. John Cleese didn’t work any harder than Ronnie Corbett at growing tall did he? However, this is a cut above just a normal good voice. There is one track “10cm Tall” which says by ‘Kiera Osment aged 10′ I just had a listen to it. Even at such a young age she has immense control, able to vault whole octaves without hesitation, and she does this little yodel thing that is a big feature of Leona Lewis’ style. When she speaks to introduce the songs, it is the voice of a well spoken, polite, slightly timid, child; but when she starts singing it is a full grown woman with all the stresses, all the hangups, all the raging emotions, and emotional scars inflicted by an uncaring world. And yet somehow she shines through this with that same youthful innocence railing against it all, and keeping herself sweet and honest even in the midst of the emotional battlefield that is life. So although I am a bit of a cynic when it comes to singing, I am in awe of anybody who can play an instrument, and Kiera is a master of at least two. As much at home with a piano keyboard, or a guitar fret-board, when combined with her lush vocals, she creates soundscapes that many performers, twice; three times her age, could only dream of. 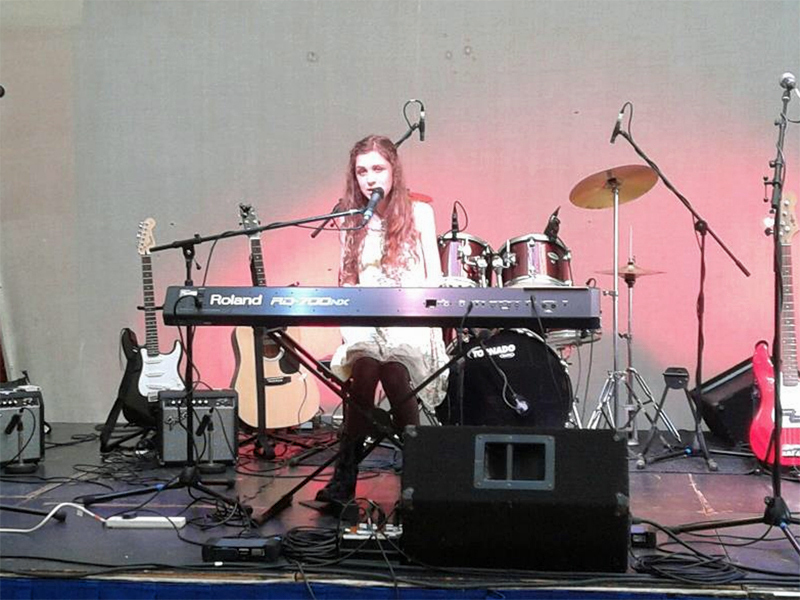 Kiera Osment – equally at home with guitar or keyboard. Certainly she reminds me of Leona Lewis. I remember Leona’s first audition because her aunt was a friend of my wife’s so I thought I should have a listen. As soon as she sand I knew she would win the competition that year, and there has not been any performer to match her in any year since. Now I happen to know that Leona turned down a recording contract at a young age because her parents said she wasn’t ready for the commitment, and I would strongly urge Kiera to take the same attitude. 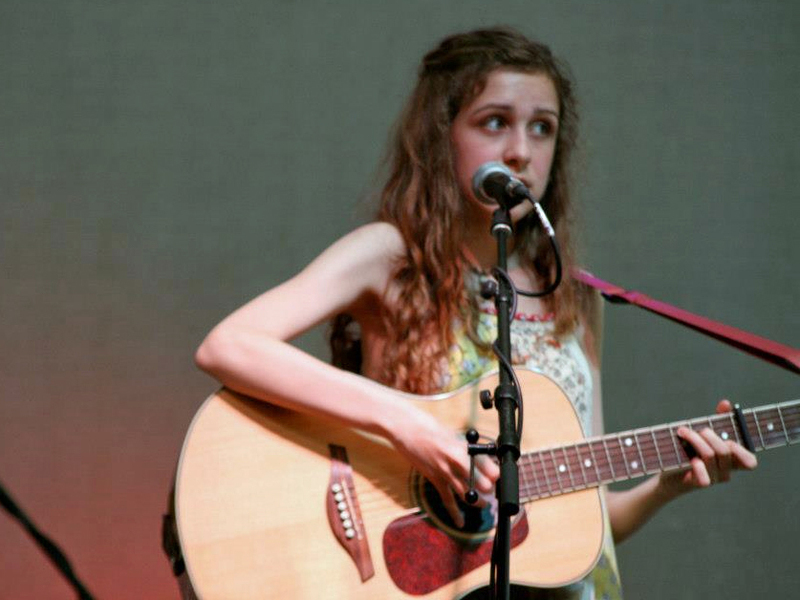 She already has forty songs on Reverbnation, enough to fill up three albums. I feel sure that she is being advised to focus on school work and keep writing, because you can’t go back to school later, but there is ample time to carve out a recording career. The songs themselves are incredibly mature in the main and very beautiful. I would however recommend that Kiera gets her own website controlled by her, and that she makes the most of any advertising opportunities both on there and also on Youtube where she has numerous videos already. You can also hear her stuff via Soundcloud if you prefer a .wav file. 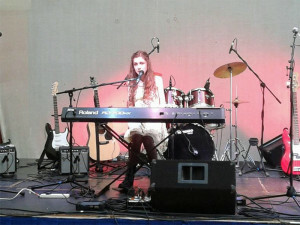 I have just recently written an article about yet another multi-talented singer songwriter, who plays piano, and guitar, as well as violin, and is also a teenage girl and lives in North Devon. I tell you, this area has FAR too many immensely talented musicians. The BBC should do a program about it. Check out Yazzy on this blog. 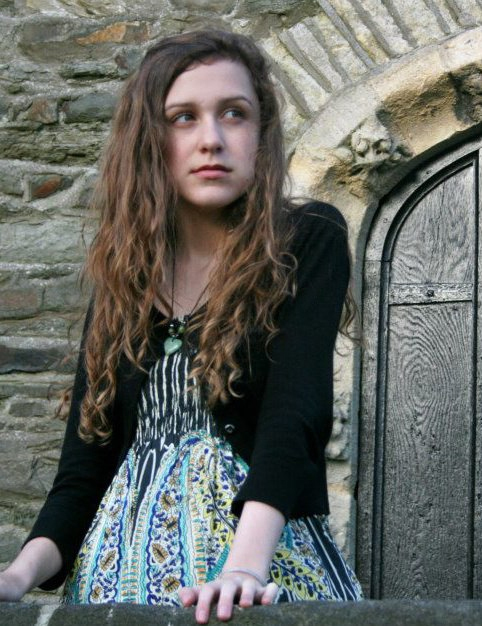 1 Pings/Trackbacks for "Kiera Osment – far too young to be this good"